The constabularies are really grateful since it has become very stress-free for them to reach the biological father by matching the DNA of the alleged father with that of child. DDC Laboratories India has come up with a collection center in Ghaziabad. 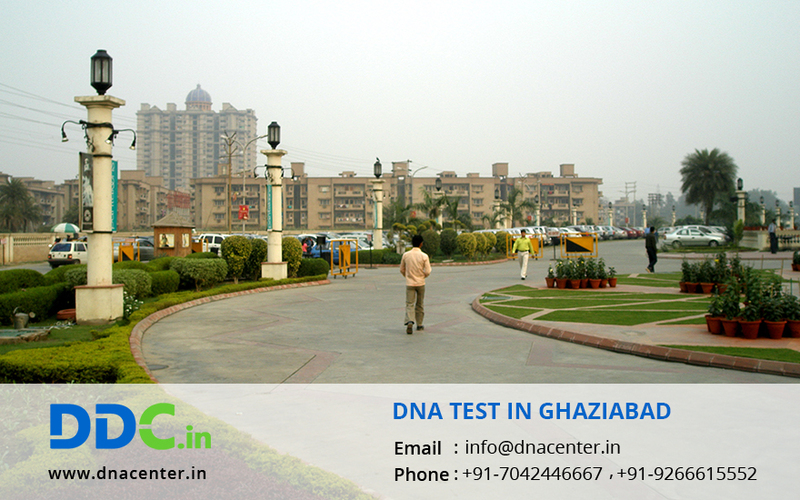 DNA Test in Ghaziabad Uttar Pradesh has gained popularity with the rise in awareness and learning rate. Our DNA tests results come in a week and the rates are also quite normal. We conduct DNA tests for peace of mind, immigration, adoption or infidelity cases. DNA test can also be done to identify dead bodies in case of war, natural calamity and similar cases. Now people don’t have to queue up to get the test done and need not to travel from one place to another for DNA tests. With the opening up of laboratories in every city, DNA testing is attained with ease. DDC laboratories India is reviewed as the most dependable laboratory for DNA paternity testing. We are allied with DNA Diagnostics Centre Inc. USA, the world leader in providing AABB accredited DNA testing services. Many legal counselors, hospitals and medical specialists rely on us for trustworthy and correct test results. Our collection center permits us to collect your DNA samples close to your home or office. For any kind of DNA test in Ghaziabad, Uttar Pradesh, please fill the form and our executive will contact you. Also, for any queries or to make an appointment, call us at +91 7533008488.